Claudia and Augusto Florez-Cavassa, our partners in Peru, recently spent one year in the UK to train as community leaders. On their return to Peru they set out to find out what their community needed and consider what they could offer. 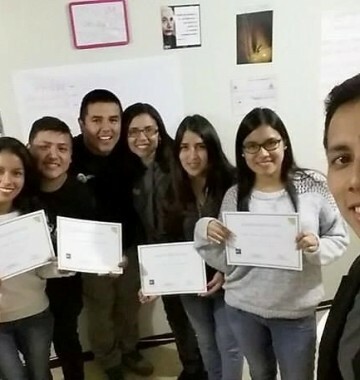 Having trained as facilitators to deliver the Crossroads Personal Development Course, they decided to run the first Crossroads course in Peru in June. The course itself challenges people to change negative views of life, by giving them the tools to approach their dreams and goals, their purpose. It teaches them that life can be difficult sometimes, but it doesn’t end there.